At Amnesia. One of Ibiza's biggest and best parties - simple as that. Voted 'Best Club of the Last 25 Years' by Mixmag, Cream are rightly regarded as international clubbing royalty, with a long-running Ibiza residency their crown jewel. Equally renowned for stellar trance in the Main Room as the house and electro and progressive house sounds from the A-List only DJ roster on the Terrace, Cream Ibiza remains one of Ibiza's most enduring clubbing experiences. The parties kicked off on Thursday 8 June 2017 for 16 weeks, with the closing party falling on Thursday 21 September 2017. Once again, we had some pretty epic Thursday night / Friday morning sessions, courtesy of Cream. Lined up for residency duties were Fatboy Slim, Paul Van Dyk and Above & Beyond. For the big opening session the resident on patrol was Paul Van Dyk, and in the Main Room he was joined by Gabriel & Dresden, Ben Nicky and Will Atkinson. Meanwhile, on the Terrace you had Faithless (DJ set), George Kwali and Sean Hughes. Bolstering our excitement levels was the promise of a series of exclusives and special appearances out on that Terrace. It had been a while since we have seen Dimitri Vegas & Like Mike with the Cream crew, and in 2017 they were back on 29 June. On 20 July and 24 August, we had an Ibiza exclusive with the enigmatic masked DJ/producer Marshmello. Former Cream resident Danny Howard banged out the tunes on a number of dates, including 15 June, 6 July and the closing on 21 September. On 7 September we were swooning over Ben Santiago as he tempered the controllers while The Lovely Laura hit those high notes on the saxophone. 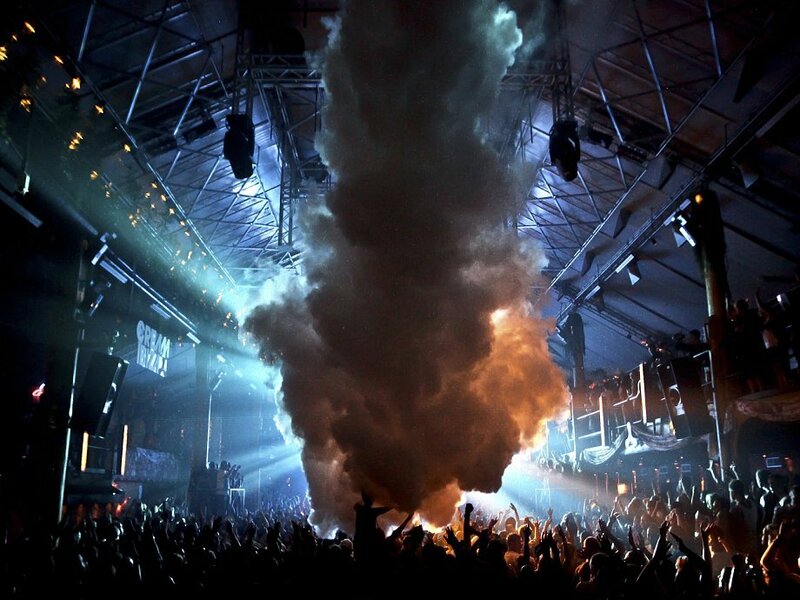 Cream lovers will know this, but for any newbies, the Main Room is for the trance fiends. We had Eddie Halliwell in for one exclusive date on 15 June. Another highlight was Paul Oakenfold's takeover on 27 July, which saw him bringing his Generations show to Amnesia and delivering a set that represented 30 years of dance classics. Elsewhere, you had a crew of trance titans on regular rotation, including Aly & Fila, Cosmic Gate, Ferry Corsten, Andrew Bayer, Bryan Kearney and Will Atkinson. Once again last season, Cream partnered with the Float Your Boat gang to bring you Float Your Boat - Cream, a weekly spin out on the Med. Pre-session boat parties are always massively popular among clubbers, so these parties often sell out.